Plate elements are mainly used for heating machines, packaging machines, tools, molds, etc. Plate elements consist of a resistance coil which is wound to mica insulation material and is then insulated with mica plate. This all is enclosed by a metal plate. The heaters can be provided with the following connections: wires, plugs, screw connections, etc. 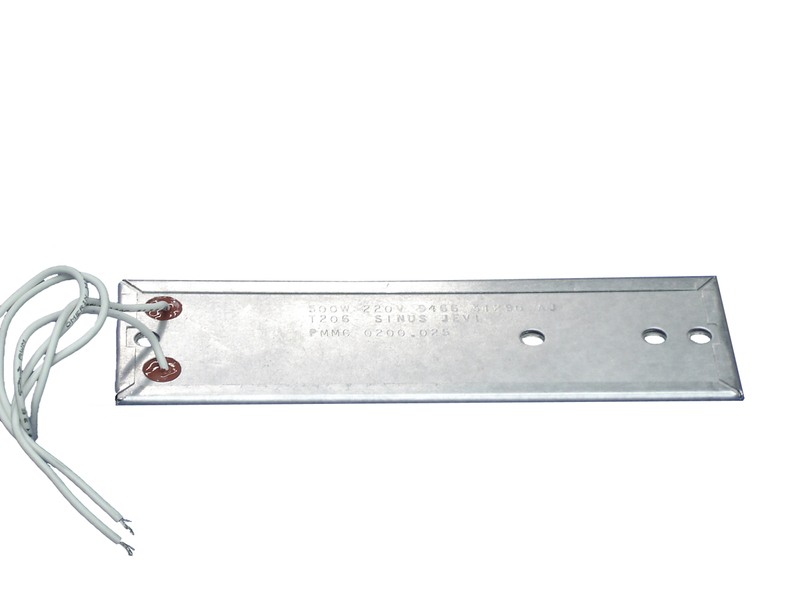 The plate element can be optionally be provided with holes for clamping or for external thermocouples. Also, the elements can be provided with (slit)holes or gaps. The maximum output load is 4.0W/cm², with a max. temperature of +400°C. For an optimal heat exchange and operating life, plate elements should make good contact with the surface to be heated. Essential is the pressing of the element over the entire surface.